نصف‌النهار ۱۵ درجه شرقی۱۵مین نصف‌النهار شرقی از گرینویچ است که از لحاظ زمانی ۱ساعت و ۰دقیقه با گرینویچ اختلاف زمانی دارد. این نصف‌النهار از قطب شمال شروع و از مناطق زیر گذشته و به قطب جنوب ختم می‌شود. ↑ -. اطلس گیتاشناسی. مؤسسه جغرافیایی و کارتوگرافی گیتاشناسی، ۱۳۸۷-۸۸. صص ۱۴-۱۵. شابک ‎۹۷۸-۹۶۴-۳۴۲-۲۷۰-۷. The meridian 15° east of Greenwich is a line of longitude that extends from the North Pole across the Arctic Ocean, Europe, Africa, the Atlantic Ocean, the Southern Ocean, and Antarctica to the South Pole. Wikimedia Commons has media related to 15th meridian east. 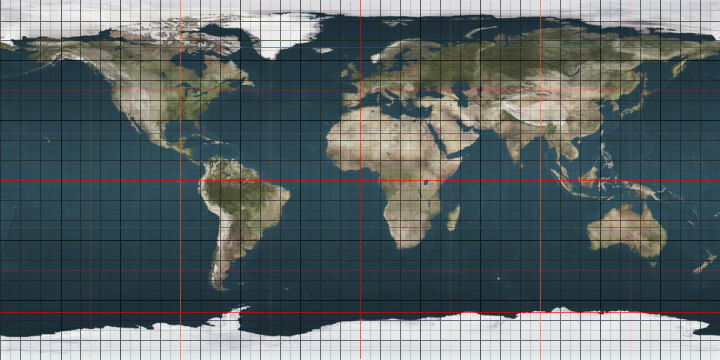 The 15th meridian east forms a great circle with the 165th meridian west. The meridian is the central axis of Central European Time. A mark in the pavement is found in Jindřichův Hradec, but the precise place is 100m to the West. Almost corresponds to the middle line of the country in the direction west-east. A memorial has been set up in the village of Vrhtrebnje. Wooden mark of the 15th meridian east passing through the Ještěd-Kozákov Ridge. Made by local group called Ještěďáci. ^ "Stargard Szczecinski". StayPoland.com. Archived from the original on 2009-09-03. Retrieved 2009-08-31. ^ http://www.prazdninynavenkove.cz/en/lokalita/4/cms/206/ The confusion over the 15th meridian in Jindřichův Hradec. Accessed 2014-12-29. Archived 2014-12-31. ^ Jenko, Marjan (2005). "O pomenu meridiana 15° vzhodno od Greenwicha" [About the Significance of the 15th Degree to the East of Greenwich Meridian] (PDF). Geodetski vestnik (in Slovenian). 49 (4). pp. 637–638. Retrieved 5 January 2010. ^ "Non dite l'ora 'esatta' se non siete a Termoli. Per l'Italia e tutta l'Europa centrale!Moliseinvita". moliseinvita.it (in Italian). 2015-09-23. Retrieved 2017-12-29. این صفحه آخرین‌بار در ‏۲۷ مارس ۲۰۱۸ ساعت ‏۲۲:۲۶ ویرایش شده‌است.